Focus: To understand why assigning purpose to each of your website pages will help your conversion process. Conversion Rate Optimisation (CRO) is as simple as getting feedback on whether your website looks good or not. Now, in this lesson we’ll go into a little more detail than that, but the process is still pretty straightforward. If your landing pages and ads aren't optimized for their specific needs, you may as well spend your money on a chocolate teapot. Conversion Rate Optimisation (CRO) is all about making sure your ads and landing pages do what you intended them to do. ​Conversion rate optimization, like search engine marketing, is a terribly underused marketing strategy. Many feel that conversion rate optimization is an extremely complicated process, but this couldn’t be further from the truth. CRO is as simple as getting feedback on whether your website looks good or not. Now, in this article we’ll go into a little more detail than that, but the process is still pretty straightforward. This is the golden rule of landing pages—every page needs to be focused on a singular objective. If you clutter your page with multiple links attached to multiple different products, your visitors are likely to forget what brought them to the page in the first place. A good landing page will be devoted to just one product/promotion/story, it will have one goal, and one call to action. A landing page set up in this way is going to convert your web traffic better than a jumbled homepage that tries to do too many things at once. If you have a marketing campaign going (email marketing, social media marketing, etc.) take a look at where you are sending your traffic. If you are directing traffic to your homepage, count the number of interaction points and links and ask yourself how you can break them up into individual landing pages. A/B testing will help you remove any of the guess work from your branding and design decisions. Quite simply, A/B testing will be the cornerstone of your conversion rate optimization strategy. A/B testing will let you compare one page against another to see which one converts the best. Here are some of the tools you can use to simplify the process. Google Website Optimizer, or GWO- You’ll need some technical knowledge to write scrips throughout your web pages. but hey, it’s a free service, you can’t beat that. Visual Website Optimizer, or VWO- VWO serves as a visual alternative to GWO. VWO also allows you to take advantage of features such as clickmaps. Optimizely- Optimizely is similar to VWO in that it helps you test the effect of changing the visual layout of your landing pages. Unbounce- This is an all in one tool dedicated to both creating and testing new landing pages. The other A/B testing tools we mentioned are only good for testing existing pages, so Unbounce is great for people just getting started. Running a 5-second test is a great way to test the effectiveness of your landing pages. The theory behind the 5-second test is that visitors will on average spend only 5 seconds on your page before deciding whether to keep reading or move on. Running this test is pretty simple. Find a willing participant who is unfamiliar with your brand and sit them in front of a computer screen. Flash your landing page on the screen for just 5-10 seconds, then turn it off. Now, ask your guinea pig what the page was about. 5 seconds on a well-designed landing page should be plenty of time for them to understand its core message and value proposition. If they don’t pick up on your message, the page needs to be streamlined. 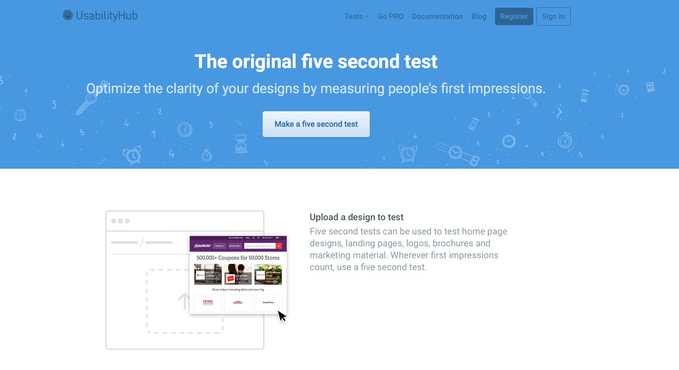 Cool tool: FiveSecondTest.com lets you run these tests online in front of their user base. We’ve gone over a few of the more technical ways you can test the effectiveness of your conversion optimization efforts. Expert reviews and web analytics are great, but why not go to the source and get some good old-fashioned user feedback? ​Both of these tools will help you gain a better understanding of any points of confusion you hadn't previously considered. Remember, improving your rate of conversion comes down to reducing friction and any barriers to entry. Even small improvements will add up, allowing you to improve the user experience on your page for the next visitor. HOW CAN I TEST MY CONVERSION RATE? You can just ask your audience, they are the best source of information and will give you a more honest and human view and feedback more than a piece of technology can do. You can measure your metrics, how many people are signing up t products, how many people read and share your blog. A/b Testing can give you accurate results too on what works for your audience on many platforms. ​You can set up an A/B (split test page) for your content to see what is making people take action. So for example, you could have 2 landing pages to get subscribers to signup to a free ebook offer and see what moves people to action. 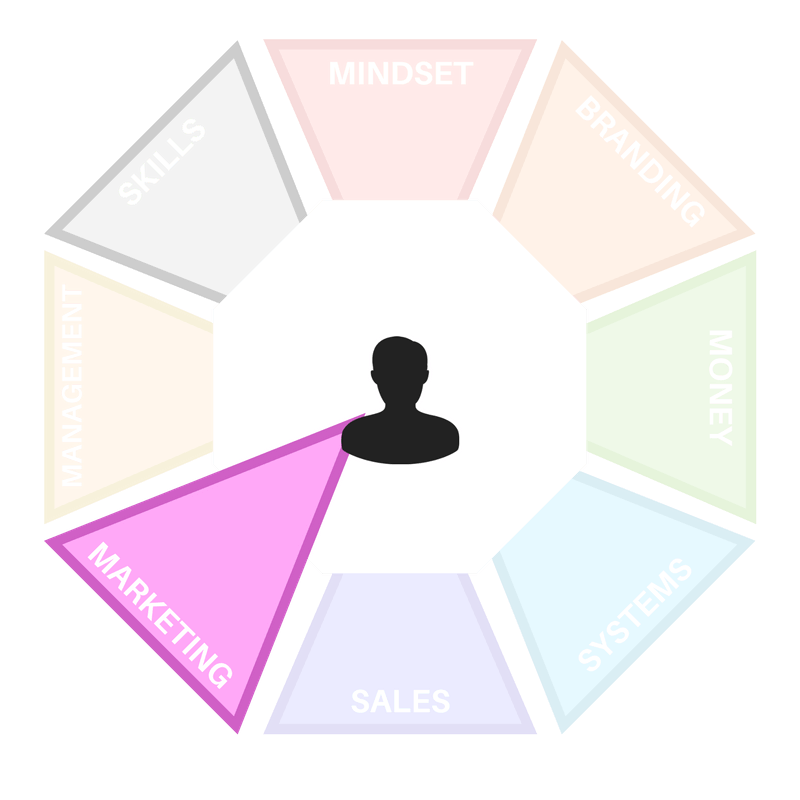 A great feedback tool with hard facts as results and not just you taking a blind instinctual guess.